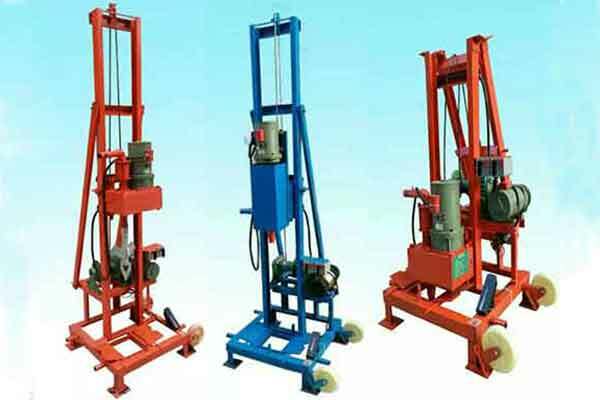 Small water well drilling rigs, small water well drilling machine or mini water well drilling rigs, small water well drilling machine is a kind of water well drilling machine with small size and specially designed for home use, personnel use, farm use, agriculture use and some other uses. 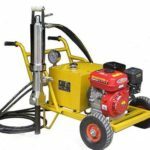 The most outstanding features of the small water drilling machine is that they are portable to transport and carry, easy to operate, high in working efficiency, versatile and inexpensive, which is the best choice of small drilling projects. 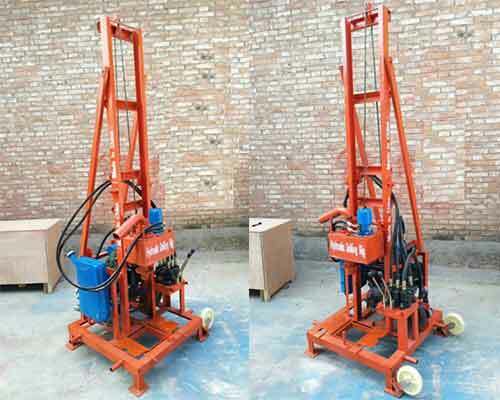 This type of water drilling rigs is more suitable for digging soft rock, such as, soil and limestone. 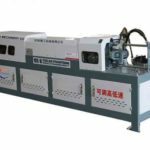 So please kindly tell me more about your requirements, such as, the drilling depth, opening hole diameter, the geological conditions, your uses, etc… Then we can check if the model you choose meets your drilling requirements. 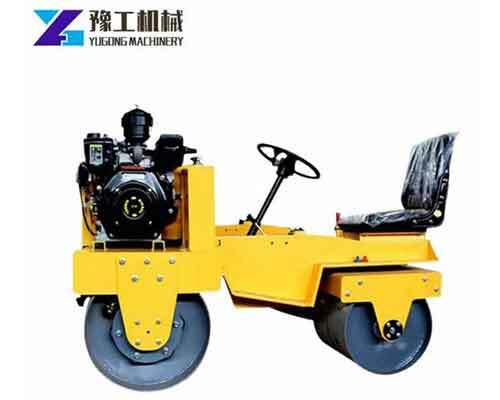 If it is suitable,we will send you quotation and more details quickly. 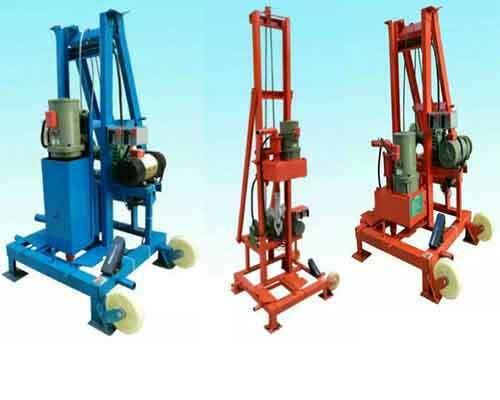 If not, we will recommend you the more suitable model according to your needs. 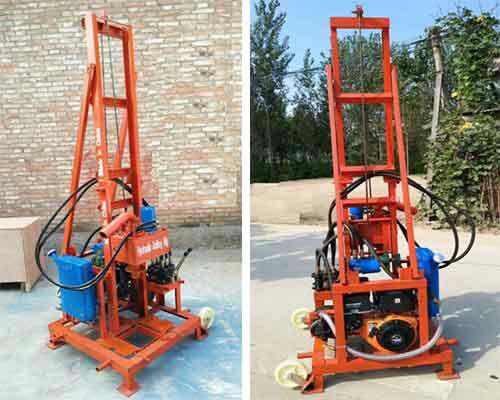 The small fold water well drilling rig is a very portable water well drilling machine. 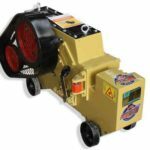 It can be folded when in transit or not in use, so it won’t take up too much space and can save transportation costs. 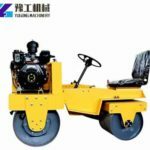 In addition, the machine can be widely used, such as, household water drilling, irrigation wells, installation of water air conditioner, construction sit piling, etc… Check the models with technical parameters below and choose the suitable model you would like, then send us email to us for quotation. First, you need to choose the location of the wellhead. Then use a shovel to dig a wellhead with a depth of 30-50cm and a diameter of 10-30cm. Move the installed rack to the wellhead and align it. Generally, the position of the drilling hole is required to be solid and the surface soil of the drilling hole should be dense, and there should be no brick, gravel, firewood and grass overhead, so as to avoid water seepage, landslide and sinking during the drilling operation, resulting in safety hazards. Dig a reservoir with a diameter of more than 1.5 square meters and a depth of one meter at a distance of about four meters from the wellhead, of course, you can set the distance according to the actual terrain and the length of the pipe. 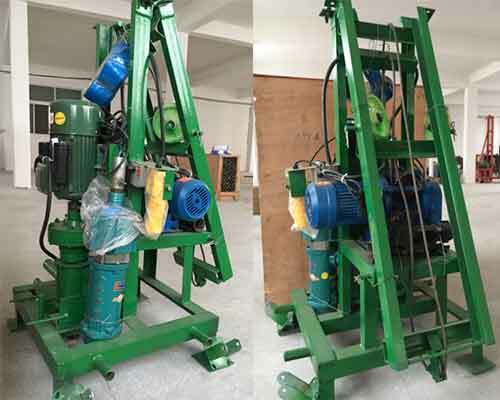 Then use a wooden pole to hang the pressure water pump in the pool, and connect the other end of the water pump tube to the faucet of the drilling machine. Fasten the drill bit with the drill pipe link. 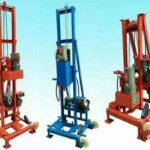 The main controller hoist raises the nose, the other person cooperates with the drill pipe and the drill bit in the first section. 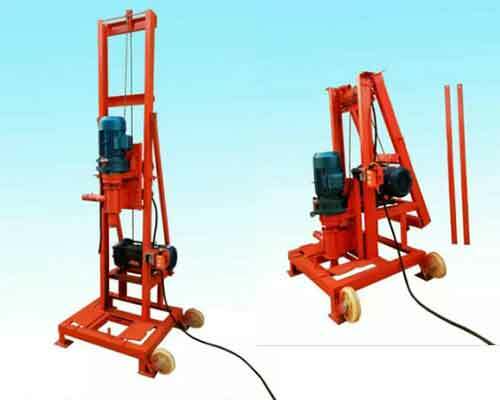 Then the main controller hoist slowly lowers the nose and the other person cooperates with the hand drill pipe to slowly pass the drill bit through the base hole and put it into the wellbore. Straighten the right direction, start the rig and the pump, the drill pipe will turn into the ground. Operators need to remember is that the drill bit rotates clockwise and can’t be reversed to avoid the drill pipe being disjointed and slipped. After entering the first section of the drill pipe, the helper closes the fuse and inserts the bar. Then the reverse gear to rotate the drill pipe counterclockwise, separate the lift head from the drill pipe, lift the nose. 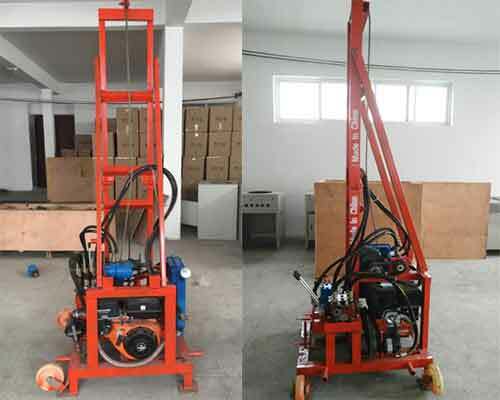 The helper needs to take another drill pipe, rotate the top wire to connect the head manually and the lower end joint is docked. The person who control the mainframe starts the machine and rotates clockwise to tighten the drill pipe. 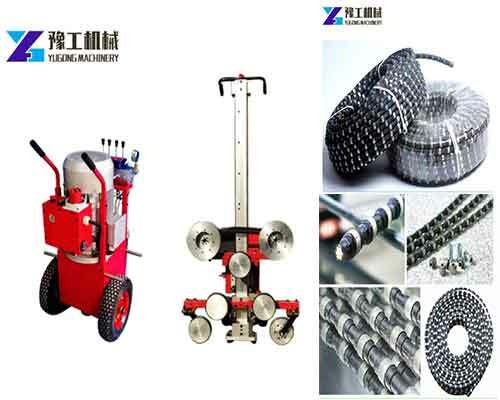 Open the insurance card, remove the drilling pipe, rotate clockwise to continue drilling. Repeat the above actions in this way and find the ideal water-bearing geological sand layer according to the depth you want. 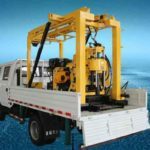 After drilling down to the aquifer of ideal depth, record the depth of the aquifer and stop the water well drilling rigs. Open the water pump to press the water to wash sand. When there is no sand in the well, the drill pipe can be unloaded. 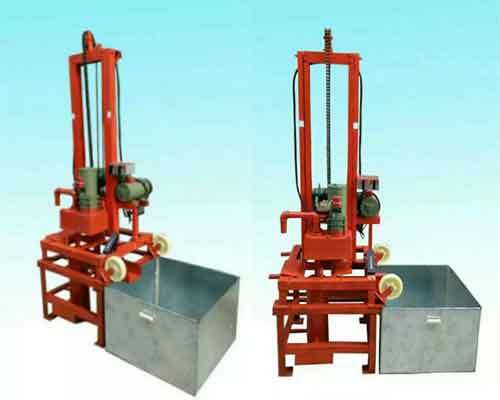 First, close the safety buckle, insert the unloading rod card, and reverse transfer the head away from the drill pipe. 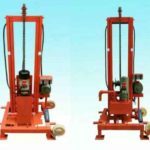 Second, install the unloading road device on the machine head, fasten it, align the unload with the drill pipe on the base into the slot, rotate the buckle and lift it. 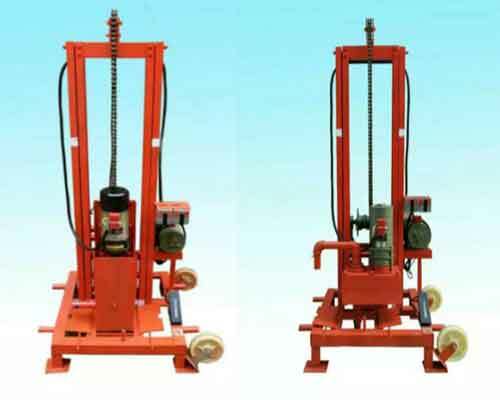 When the lower end of the drill pipe rises above the fuse holder, stop it, tighten the fuse, insert the unloading rod card, turn it up, the drill pipes will be removed automatically.